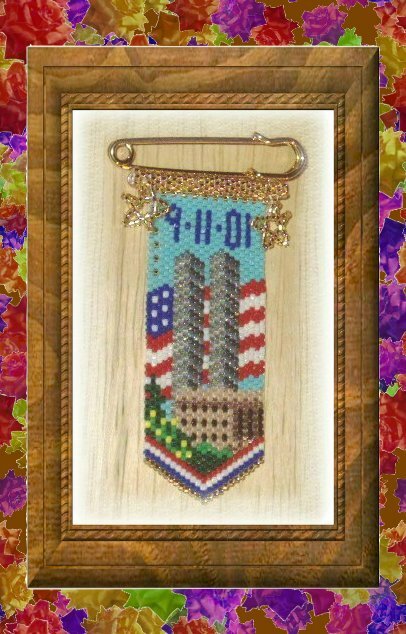 This pin features the World Trade Center, the Pentagon and the grassy field in Pa.and a Flag. 4 "stars" are set in the sky to represent those lost in the hi-jacked airliners. Size: 1 1/8" X 3 1/8"
This suede purse features a Herringbone stitched fan that clasps over a button. 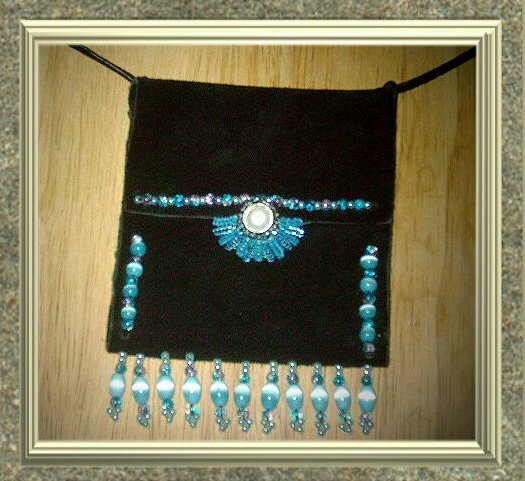 Purse measures approximately 4 1/2" X 4 "
SURE WISH MY CAMERA WORKED BETTER! 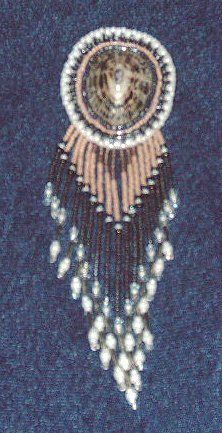 This is a pretty bookmark featuring one of Rita Sova's angels. 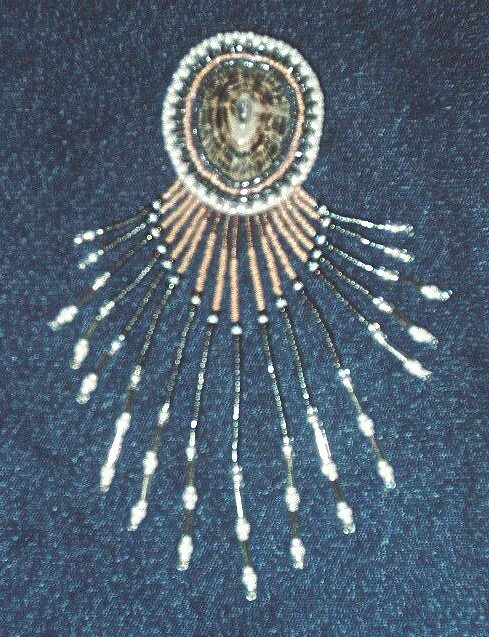 The angel would hang outside of the book. coat or whatever you like. 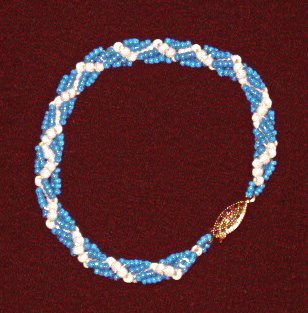 I love to wear this bracelet. It sits so delicately on my wrist. 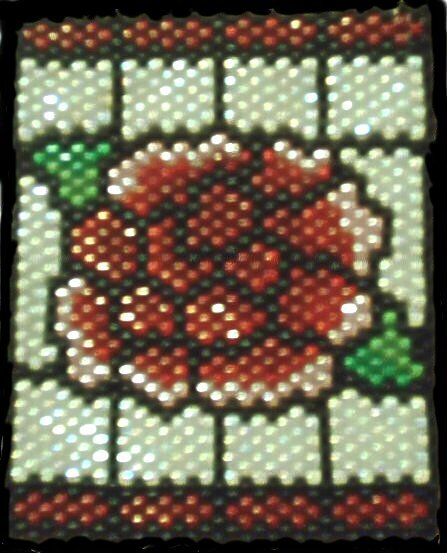 Size 8 and 11 Delica beads were used to make it. I will replace these photos with much nicer ones.